We would like to inform the Zimbabwean State security agents to refrain from going about abusing innocent citizens of this country over the source or the so called sponsors of the nationwide demonstrations. 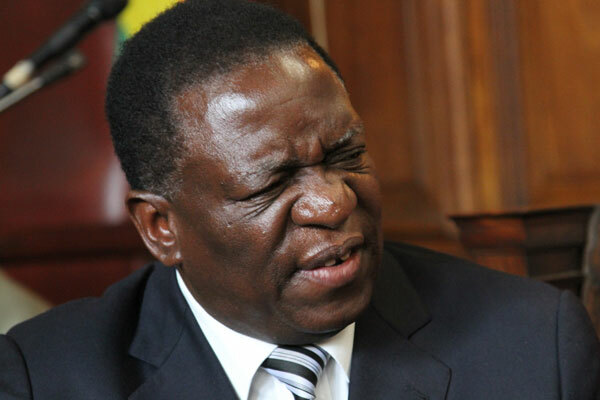 We are fully convinced beyond any reasonable doubt that it is Emerson Dambudzo Mnangagwa himself who incited the mass demonstrations the success of the Stay Away was fueled by the increase of commuter fares to a $3-00 a single trip to town or more in the country's urban towns and cities. The unreasonable announcement of the fuel price increase by Mnangagwa, without the salary increment and or alternative for ordinary citizens left the citizens without a choice but to go into the streets to show their displeasure in the conduct of the government. The majority of people in this country earn an average of $300. They couldn't afford $6-00 transport fee a day, right now a 2litre cooking oil cost $15-00, 5kg rice $25-00, orange crush juice 2Litre is $11-00, a loaf of bread cost $2-00, etc. With the unemployment rate standing at over 90% coupled with unavailability of cash it is surprising that the government still pretends all is well and people are happy. This is the reason for the demonstrations, we as a party we are fully behind any peaceful demonstrations which will force the government to address the economic crisis. Mnangagwa should have come back if he is genuine about his so called New dispensation.Our party officials report that in Entumbane, Nkulumane and Lobhengula anti riot police and soldiers participated in looting. Zanupf known thugs are also to be blamed for burning of the shops and vandalising property in order to paint the demo as a violent one. The persecution of our people must stop immediately, we are aware as we have been informed by our friends within the Zimbabwe Republic Police law and order section that the combined state security agents in Bulawayo have drawn a list of names that includes what they termed as the influential persons within the civic society and the opposition political parties including Mthwakazi Republic Party ‘MRP' leadership and other members. The government must stop forthwith to persecute us and concentrate on fixing the economy. It is the rotting economy that is causing anger amongst our people. We cannot continue like this we still have our issues against this very same ZANU PF government. As a people 's party we also condemn the deployment of soldiers during demonstrations.We stand with the masses. Presia Ngulube is MRP Vice-President.